Fines imposed by the Financial Industry Regulatory Authority in 2014 are poised to far outpace those reported by the regulator in 2013, according to an analysis released Aug. 1 by the law firm Sutherland Asbill & Brennan. 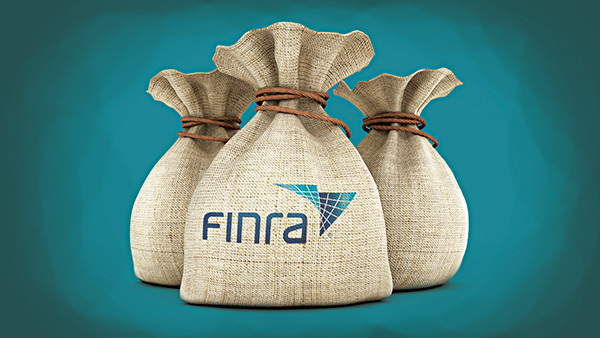 FINRA assessed $42.4 million in fines in the first half of 2014, compared with $23 million during the first half of 2013. Sutherland gleaned the fine data from FINRA’s monthly “Disciplinary and Other FINRA Actions” publications. FINRA reported fining broker-dealers and associated persons $57 million in 2013. If FINRA continues to assess fines in 2014 at the current rate, Sutherland says that 2014′s fines will represent a 49% increase from the total fines reported by FINRA in 2013 to an estimated $85 million in 2014. “That figure would represent the highest amount of fines reported by FINRA since the financial crisis,” according to Sutherland’s analysis, and the most fines reported by FINRA since 2006 ($111 million). Indeed, Sutherland notes the first six months indicate that 2014 “will likely be a year of substantial increases in FINRA fines,” as FINRA “appears to be repositioning itself as its actions shift from cases relating to the financial crisis to more technical issues,” such as books and records, and trade reporting violations. The number of “supersized” fines of $1 million or more is the primary reason the fines reported during the first six months of 2014 were substantially higher than 2013′s figures, Sutherland says. During the first six months of 2013, FINRA reported only two such fines, totaling $2.3 million. In contrast, five supersize fines, totaling $20.4 million, have been published in FINRA’s monthly disciplinary reports through June 2014. One of this year’s cases resulted in an $8 million fine for alleged anti-money laundering compliance failures involving penny stock transactions. Despite the significant increase in fines, the number of disciplinary actions reported by FINRA during the first half of 2014 decreased compared with 2013. FINRA reported 558 disciplinary actions during the first six months of 2014, which is a 7% decline from the first six months of 2013 (597 disciplinary actions). The percentage of 2014 cases that involved firms (as opposed to individuals) was very similar to the first six months of 2013 (36% in 2014 compared with 38% in 2013), Sutherland says.